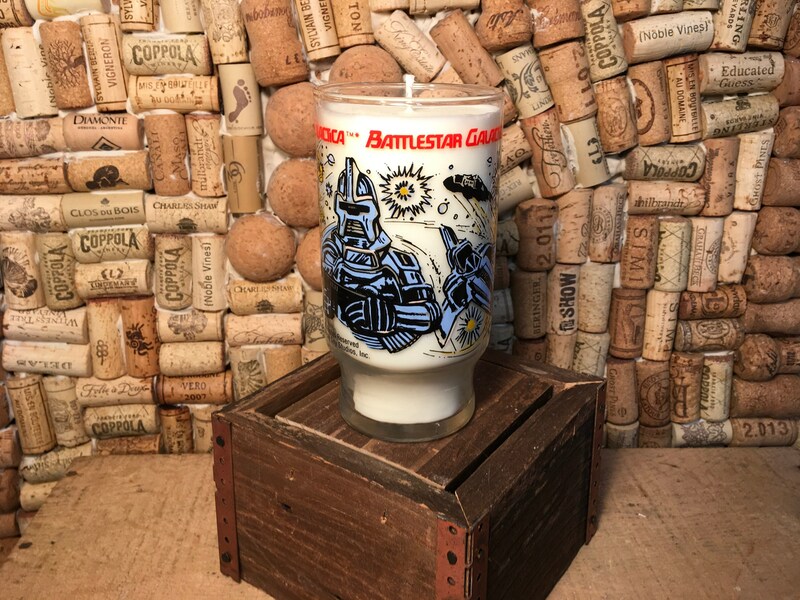 SHIPS FREE!!! 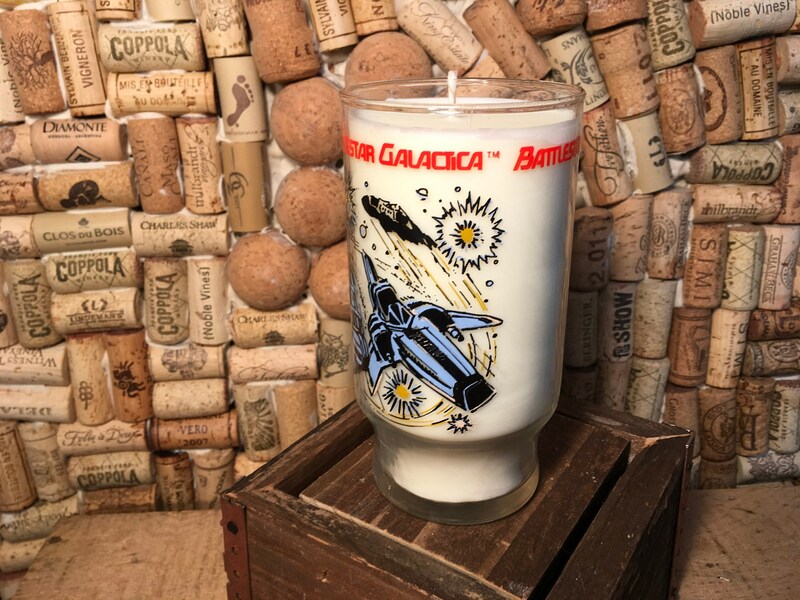 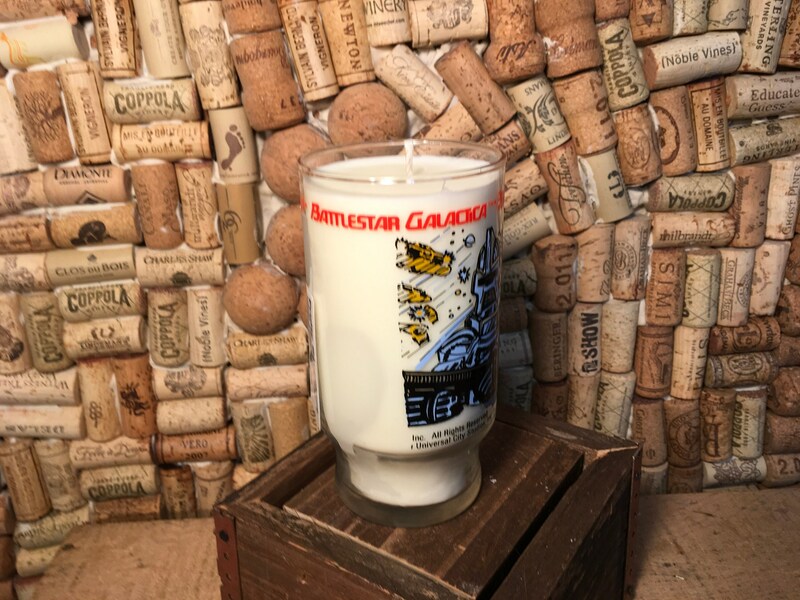 Vintage Battlestar Galactica glass filled with a wonderful long lasting Fruity Bergamot. 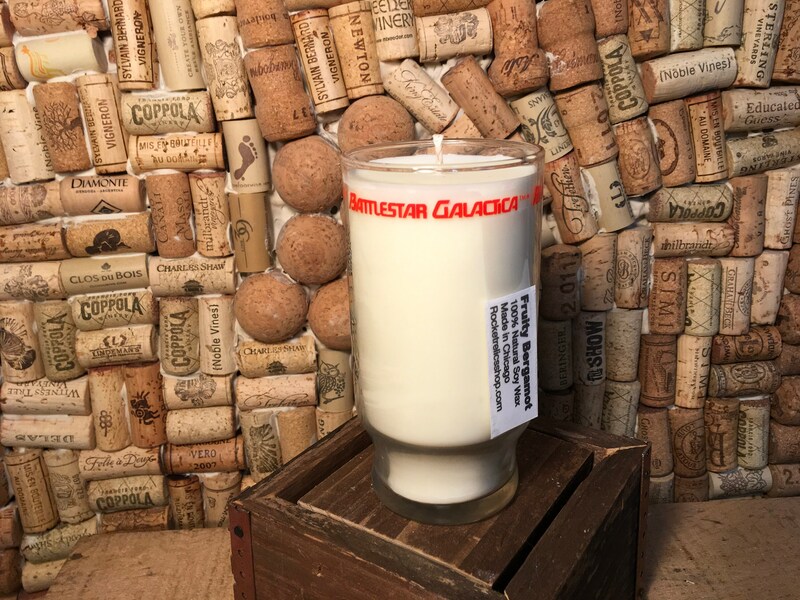 Our Fruity Bergamot scent has top notes of peaches and orange, middle notes of bergamot and base notes of white musk.